Free shipping for U.S. orders of 2 or more. And free returns and exchanges for all domestic orders. Look great and get a tan right through your swimsuit or shirt! Now you can get a tan through the most comfortable, best looking swimsuits and shirts in the world. Whether you're at the beach, boating, on vacation or just relaxing in the yard, now you can get a natural suntan right through the fabric. It's convenient, and it's 100% cool and comfortable! All of our Tan-Through Swimwear is made from a unique, high quality fabric that allows you to get a natural suntan right through the fabric about as fast as you would with a medium level SPF sunscreen. The unique fabric that makes it all possible is Microsol V, the lightweight fabric that lets sunlight through like a medium level sunscreen, eliminating the need for messy oils and lotions. Choose from a wide variety of swimwear styles, in women's one piece swimwear and bikinis, as well as men's swimwear, swim trunks, board shorts and surf shorts. Or choose from a variety of shirt styles and colors available for men and women. 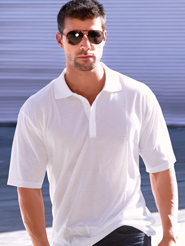 Cooltan swimsuits and shirts are easy to take care of, ethically Made in USA, and Machine washable. And you can hang them to dry and they'll be dry the next morning... perfect for vacations! Need a different size? A different color? That's easy. Just send it back for an exchange or refund, whichever you prefer. Feel free to give us a call and we'll be happy to help out with sizing, delivery, or any other questions!